We’re going to bring the Tuttle format to Sittingbourne. 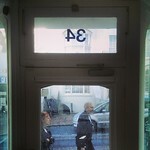 I’m running a pop-up shop/co-working project here at 34 High Street (known as Workshop34) for the next few months and so I want a regular get together of creative minds in conversation. Tuttle in London has been running every Friday since February 2008, it’s a place for conversation that works a bit like the internet is supposed to work. Everyone’s welcome, there is no theme to conform to, there are no speakers or people you have to listen to, there is nothing that you have to do, except turn up with an open mind and a willingness to meet other people and chat. It’s a meetup for anyone interested in creativity, collaboration, ideas, life, people, work, technology, politics, religion, philosophy… oh, anything you like, we don’t care! There have been successful versions of Tuttle in Kent over the years too, notably Twuttle in Royal Tunbridge Wells and tuttle 101 in Rochester. Carl Jeffrey used to run tuttle 101 and he wrote about it from the participant’s point of view. Come down, up, over or around and see us. What to bring: First one especially, please bring a mug. If you have bits of furniture, office/shop equipment that are nice but not wanted where they are, let me know and we can talk about getting them here. What to leave at home: Moans and groans. Also business cards, unless they’re really funky. Who to bring: yourself mainly, but bring and/or send anyone you think would like it. Biting people (at least on their first visit) is severely frowned upon. How to sign up: No need, just let me know, tweet it, facebook it, write it on your weblog.